Congratulations! That's an under appreciated watch. Very nice! More than a close enough match IMO. 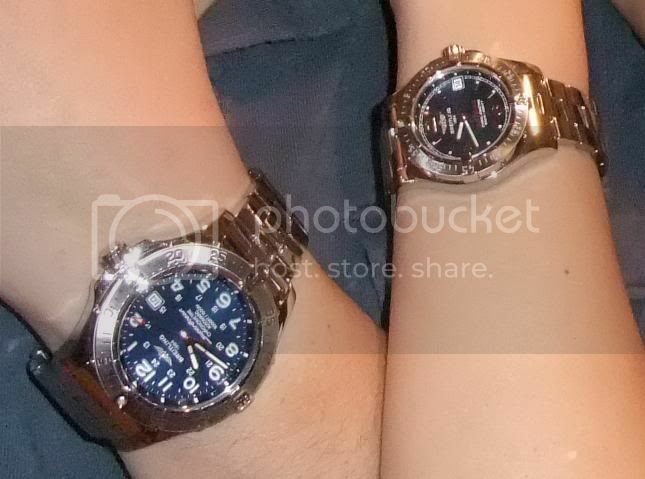 I´ve been looking at the Oceana for my wife too, to pair with my AS. She has tried it with the silver dial and on her wrist it looked sensational. My favourite ladies B and my wifes too. Just waiting for the economy to straighten a bit first. Got a quick wrist shot. My wife was actually excited when I showed her the watch. Nice shot. The Oceana looks on her like a million bucks. Yours is not bad either! looks like yours is faster by 6 seconds. ha ha. Nice set. 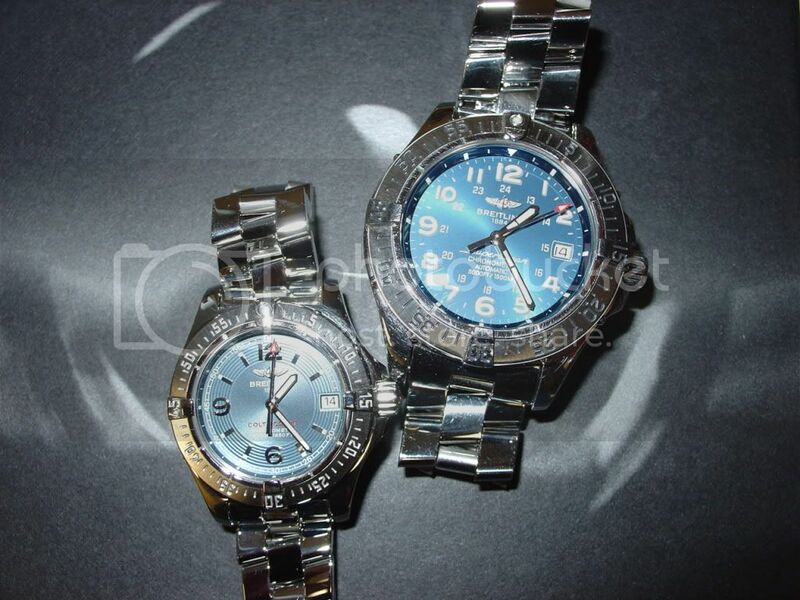 Great looking pair and the color of the dial, bracelets, and hands are near dead wringers.